Old Owen’s Cricket Club commence the start of the Saracens Herts League on Saturday 7th MAY 2016. The 1st XI are Away to Old Finchleians 1st XI (Herts Div 2A). The 2nd XI are Home to Old Camdenians 1st XI (Herts Div 7A). The 3rd XI have conceded their game away to Preston 4th XI (Regional Div B East). Old Owens 1st XI v. Watford Town 1st XI (Away start 1.00 pm). Old Owens won the toss and chose to bat first. 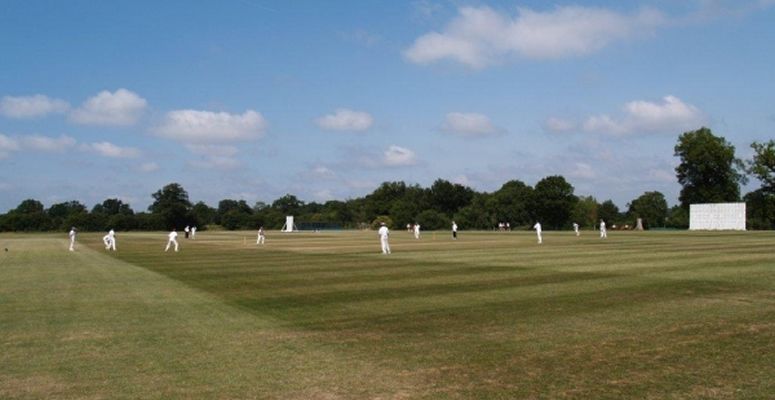 Old Owens scored 170 all out (47.0 overs) with Watford Town replying with 99 all out (31.0 overs) – Old Owens 1st XI won 30 pts (Old Owens 1st XI are 2nd in the League with 299 pts). Old Owens 2nd XI v. Southgate Adelaide 2nd XI (Home start 1.00 pm). Old Owens won the toss and chose to field first. Southgate Adelaide scored 276-5 (53.0 overs) with Old Owens replying with 221-5 (47.0 overs) – Old Owens 2nd XI drew 5 pts (Old Owens 2nd XI are 3rd in the League with 281 pts). Old Owens 3rd XI v. Reed 4th XI (Away start 1.00 pm). Reed won the toss and chose to field first. Old Owens scored 178-4 (42.0 overs) with Reed replying with 179-2 (31.2 overs) – Old Owens 3rd XI lost 12 pts (Old Owens 3rd XI are 3rd in the League with an average of 17.08). To see all the results, fixtures and tables click http://www.hertsleague.co.uk/.